Birchwood Elementary is an International Baccalaureate (IB) School serving the Primary Years Program. Birchwood Elementary’s garden dates back to 2007, when it was established by a few teachers with a strong vision. Since the school was rebuilt in 2014, the garden has played a large role in the lives of every student at Birchwood. 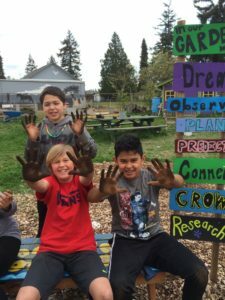 As one of the largest school gardens in Bellingham, the Birchwood garden boasts great diversity and has enough space for the 5th graders to steward their own beds as a part of their Seed to Table IB unit. 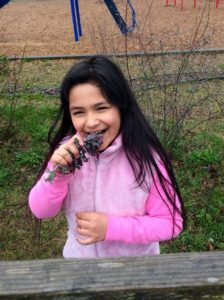 Birchwood students can often be spotted eating garden-fresh kale during their recess time or tending to their plants after school at their garden club, spearheaded by 1st grade teacher Kelly Morgan. Birchwood Elementary has 1325 square feet of growing space! 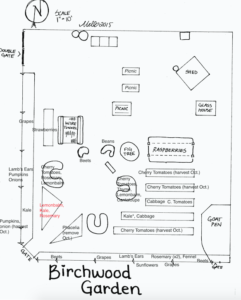 The school is located at 3200 Pinewood Avenue, Bellingham WA 98225.